Per one of the agreed parts of the 1970 AFL-NFL Merger, the NFL began planning to expand from 26 to 28 teams. 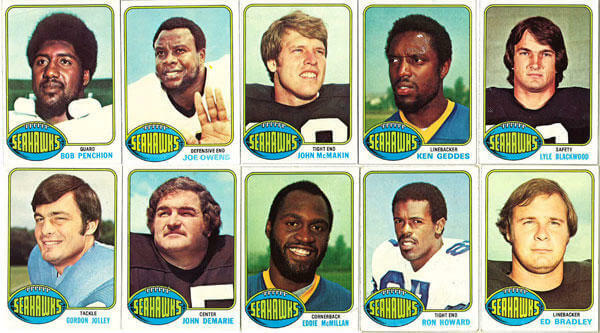 On June 15, 1972 Seattle Professional Football Inc., a group of Seattle business and community leaders started by Herman Sarkowsky and Ned Skinner, announced its intention to acquire an NFL franchise for Seattle. Almost 2 years later on June 4, 1974, the NFL awarded the group an expansion franchise. On December 5, 1974, NFL Commissioner Pete Rozelle announced the official signing of the franchise agreement by Lloyd W. Nordstrom, representing the Nordstrom family as majority partners for the consortium. Nordstrom died of a heart attack on January 20, 1976, just months before the Seahawks played their first game.